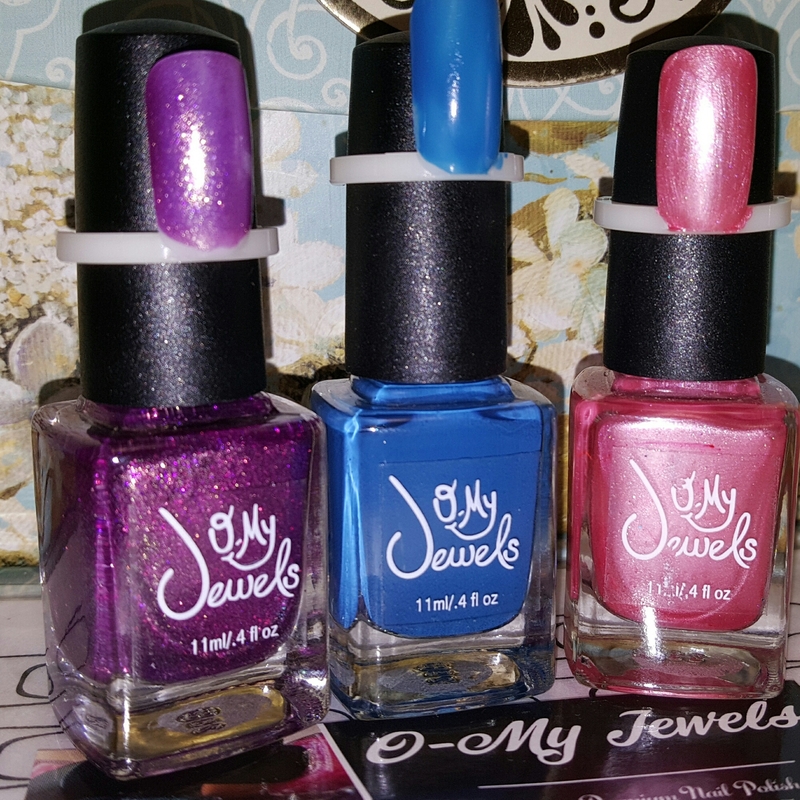 I received these beautiful colors from “O My Jewels“. 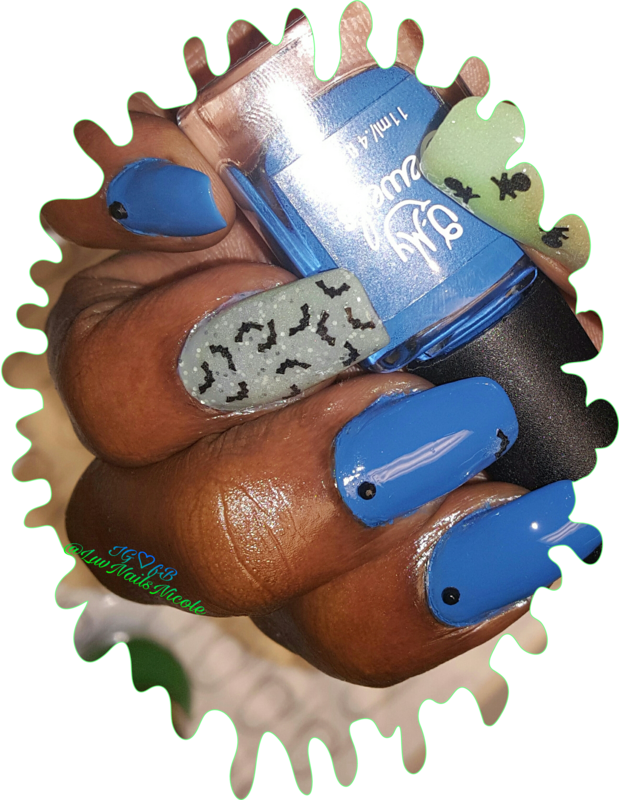 A 5free,Cruelty Free,Hand Mixed&Poured Indie Polish Brand.They were sent to me to try&give my review on what i think about them.It turned out to be a nice polish that i would purchase & recommend. They were all smooth applications.I only needed 1 coat of each polish I tried. The purple is a sparkly glitter called “GOOD TRY” , “BOHO BLUE” is a Rich,Vibrant&Creamy Formula with a Nice Shine. The Last Polish is a Shimmery Pink called “COSMO” .Dry time was quick even before adding a fast dry TC.Thats always a plus.I don’t like polish that takes forever to dry & you end up smudging it. OMYJEWELS is affordable at just $7.25 and They also sell them in Sets with a variety of different colors. The Topcoat&Basecoat is $5.00 each or 2for $9. Halloween Mani Using BLUE HERON. 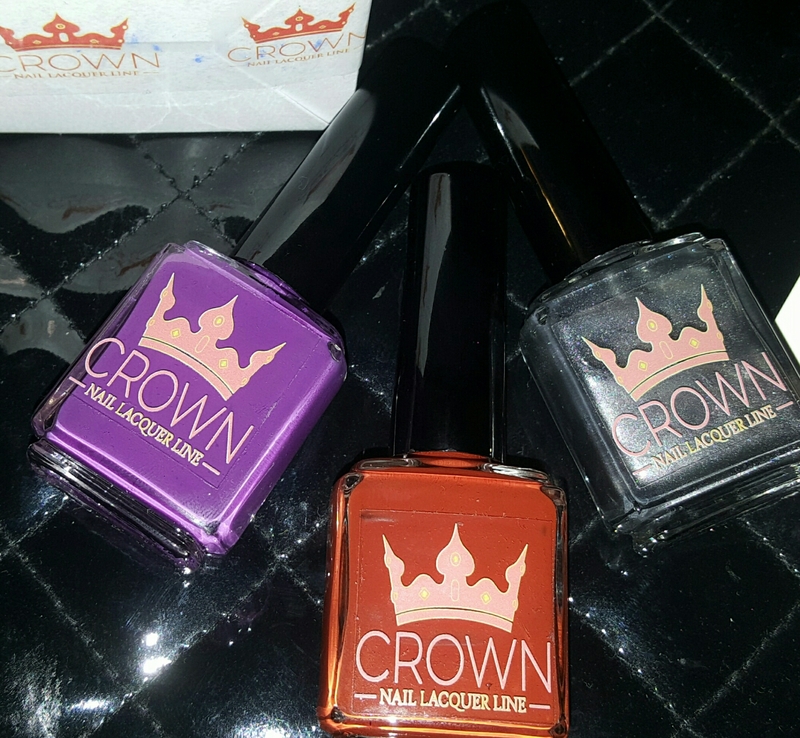 These Beauties are Colors from Crown Lacquer fall Line Collection. This is a new up and coming indie nail polish line made in Michigan. They are 5Free&Animal Cruelty Free.The formula&brush is Nice.Polish is opaque in 1-2coats. The application is good.The Wear time on my natural nails about 5days with no chipping before removing. The colors in the pic,In order are: COZY COOL, FALL IN LOVE & HAWTHORN. Prices Start at just $7.00. 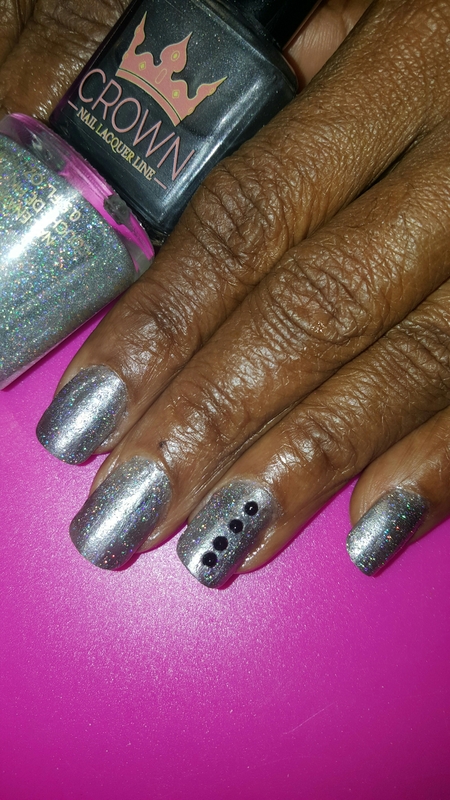 Nail Pic is of my mom-n-laws nails I did Using Hawthorn topped w/ Revlon Holo Pearls.